FREE WELCOME DRINK!Make your reservation maximum 3 days before your arrival and get a welcome drink on your arrival! BREAKFAST INCLUDED!N'Joy hostel was founded by a family that was born and raised in Budapest. Our number one goal is to guide our guests in every aspect of their stay, so they can make the most of the autenticity of the city, and they can countinue their trip with a uniqe experience. For these reasons the hostel is run in a traditional downtown apartment house, in a four-room home. If you are looking for a place during your busy journey, with relaxing atmosphere, where the staff is known from its cordiality, you will feel right at home with us. Forget all the bunk beds, the crowded 12 bed dormitories, the cold showers and the hot plates. Our sunny, colourful rooms custom designed attics ensure your privacy and being together at the same time. You will be able to refresh yourself in our brand-new bathrooms and have a cup of hot coffee in our fully equipped kitchen to get ready for your adventures while discovering the city. And when you get home after a day of fun, your comfortable bedand all the amenities of N'Joy is waiting fo you. Have had too much restaruant food? We cook a free traditional hungarian dinner on pre-organized nights. After whether you choose your individually-tailored pub crawl or ours, we have surprises for you. Tasting food is always a good experience but learning to make it with locals and then sharing at home is even better, so why not to join our do-it-yourself Cooking Lesson. Whether your stay is for business or pleasure, our apartment will create a sense of relaxation as if you were in your own home. The apartment is individually styled and decorated. Clean, comfortable and modern. 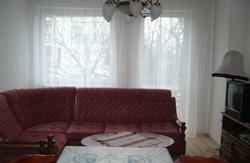 Very well equipped; offering dining area, bathroom, with laundry facilities, as well as access to free Wi-Fi. 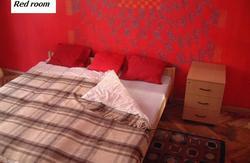 Our apartment is an affordable alternative to hotel style accommodation. Spend a whole day at the biggest lake in Middle Europe, SAIL AT LAKE BALATON with organised guiding! Take part in our FREE COMMON PROGRAMS EVERY DAY, or sign up for one of the numerous guided tours. After a busy day drink FREE COFFEE OR TEA, watch DVD, or simply relax in our colorful, shiny rooms. 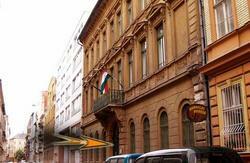 Enjoy the famous nightlife of the district with various pubs, discos, nightclubs, underground places. We are able to get group booking for special discounts. Keep the contact with persons stayed at home via FREE INTERNET and make them jealous with your fancy experiences! We have different kind of rooms from the private double room till the 7 bed dormitory. All the rooms have security FREE LOCKERS, comfy beds. Towels and linen is included. We have computers with free internet in the common room and wifi in all the rooms. Take bus nr. 200 to Kőbnya Kispest metro station. Take metro3 (blue line) to 'Dek Ferenc tr' metro station. Go about 100 meters on Rkczi street till number 9. Take metro3 (blue line) to 'Dek Ferenc tr'(2 stops). Take the metro2 (red line) to 'Astoria' metro station. Take metro3 (blue line) to 'Dek Ferenc tr' metro station. On street parking available 8pm-8am Monday - Saturday and all day Sunday (all other times parking is metered with a maximum 3hr stay).